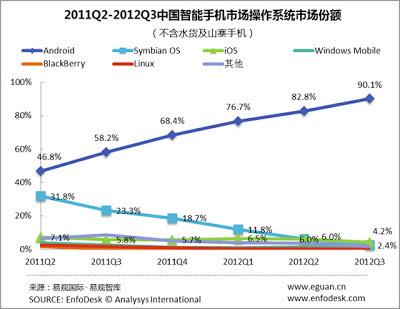 Android continue to increase their market share in China. 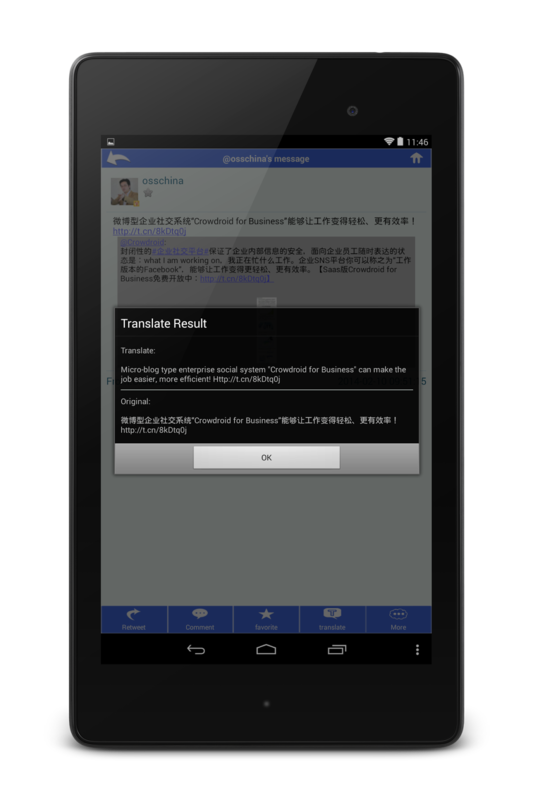 Their market share exceeded 90% in Chinese smartphone market in the third quarter. According to the recent report by Eguan, the smartphone market share in China of Android exceeded 90% in the third quarter. In the second quarter, the market share of Android was 82.8%, hence it follows that their market share increased 7.3% compared to the second quarter. 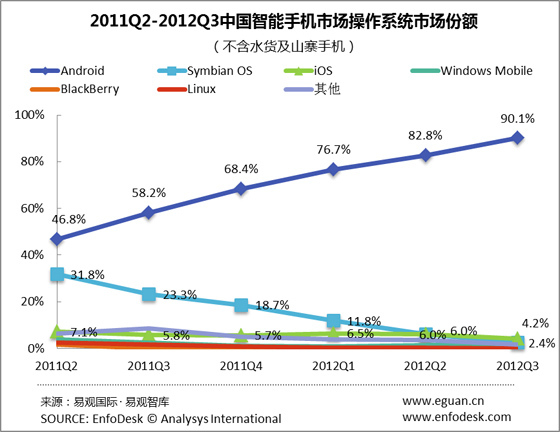 iOS and Symbian both decreased their market share, both had 6.0% market share in the second quarter, but iOS decreased to 4.2%, and Symbian decreased to 2.4% in the third quarter. According to this report, the sales amount of smartphone in China was 49.17 million units in the third quarter, the sales rate of smartphone continue to increase in the third quarter too. 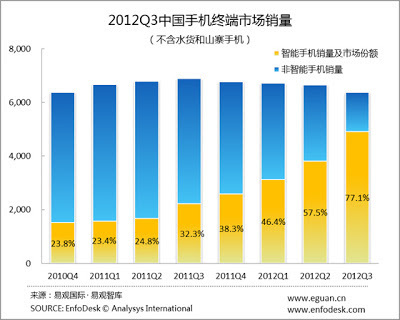 *Yellow colored graph is the sales rate of smartphone, and blue colored graph is non-smartphone one. More and more mobile vendors entered Chinese smartphone market, Android and related business in China will be more and more brisk in future.